If you're new to collecting Ancient Roman Coinage, or just wish to introduce your coin-collecting passion with friends or family, this is your best way to begin. 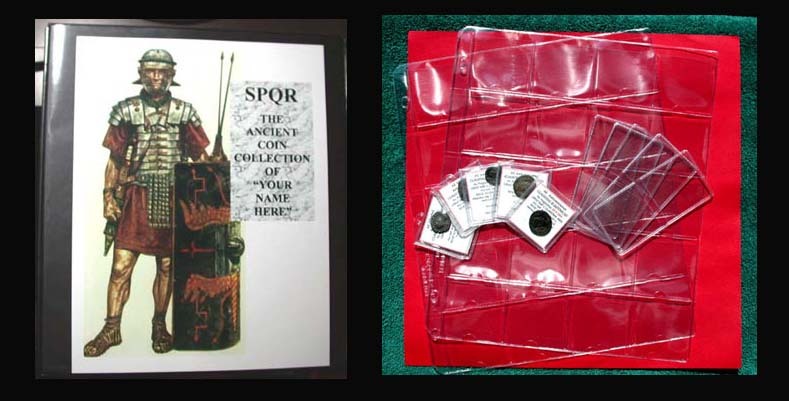 In this set all will recieve 5 cleaned, flipped, and attributed Roman Coins, 5 premium uncleaned Roman coins, five archival double-pocket flips, two 20 pocket pages, a common dental pick to help clean them, and a sturdy 3-ring binder to hold them as their new collection increases. The binder will be customized with the name of the new collector, as well.